BUY THE WHOLE WALL ! Our gallery walls are a collaboration between gallery owner and artist Hannah Ludnow and renowned interior designer Sally-Ann Elliott of Wonder Interiors. 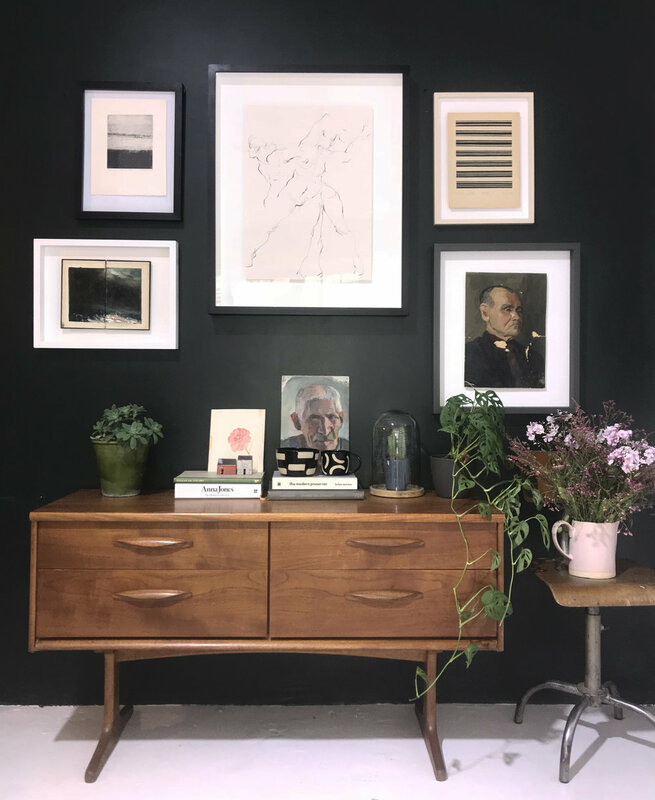 If you have a space you’d like to fill with art but aren’t sure how to go about it we can help, we specialise in affordable but original collections which combine contemporary and vintage pieces. No matter the space we can curate a beautiful collection to suit. If you have any questions at all please get in touch.